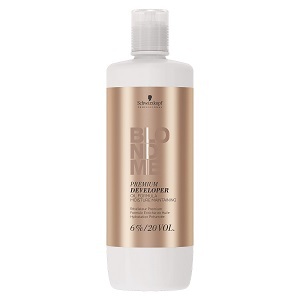 Designed to ensure maximum performance and improved care when used with the BLONDME color products. CAUTION: Contains hydrogen peroxide 6%. Avoid contact with eyes. Rinse immediately if product comes into contact with them. Wear suitable gloves. Keep out of reach of children. Follow the instructions for use carefully. Store in a cool place away from direct sunlight. For professional use only.